Desserts after Aphikomen- אפיקומן | Jewish Holidays Explained! Q: The custom in my family for generations has been to sit around the Seder table into the wee hours, singing and learning about the Haggada and the Exodus. The friendly atmosphere is completed by delicious desserts and hot drinks. Recently, however, some friends argued that our custom is wrong. They say that one must eat the Aphikomen ... See More before midnight, recite Birkat HaMazon, and then continue without any food or drink, except for the last two cups of wine and water if necessary. Could you please enlighten us on that matter? 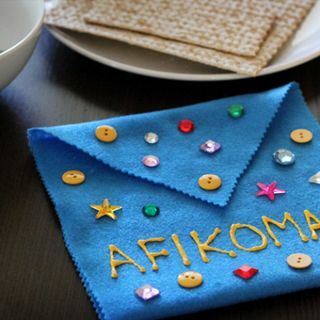 A: The widespread custom, as recorded in the halakhic literature, is to conclude the eating on the Seder night with the last piece of Matzah, called Aphikomen. Following the Aphikomen, only the last cups of wine are digested. However, your family's custom is also widespread, and so was the custom of my grandfather, Hakham Shaul Fetaya. Since he followed his own father Hakham Yehuda Fetaya, who in turn followed sacred family traditions going back to Rabbi Reuben David Nawi in the 18th century, it was obvious to me that the custom is valid and that one is allowed to have desserts after the Aphikomen, thus enhancing the experience of joy and pleasure on Passover. The Mishna says אין מפטירין אחר הפסח אפיקומן- one should not conclude the Passover meal with Aphikomen. Rav and Shemuel were contemporaries and lived in Babylonia, but Rav was originally from Israel and was more familiar with the Greek table manners upon which the Seder is based. Rav's opinion is supported by historians who describe a Greek practice of going for desserts from house to house after the main meal. Rav is saying that on the Seder night each group should stay together, emphasizing the unity of the inner circles, and that people should not break away to visit other houses. With time, the original practice was forgotten but people still knew it was related somehow to desserts. The widespread practice today, which considers the Aphikomen the last food at the Seder meal, actually contradicts the phrasing of the Mishnah. To conform to the practice, the Mishnah should have said: "one should not eat after the Passover meal anything, except for Aphikomen." According to another opinion, it is limited only to the section of the Haggada between Birkat HaMazon and the Hallel. Once Hallel is recited and the last cup of wine is drunk, one can have desserts or any other food. Your practice of having desserts, fruits, and drinks after the conclusion of the Haggada is a valid and beautiful practice. It allows people to stay together around the table and enjoy singing, learning, and schmoozing over Passover delicacies, in a fashion faithful to the true spirit of the Holiday. Rabbi Ovadia is the Rabbi of the Magen David Sephardic Congregation in Rockville, MD. "The Sephardic Synagogue of the Nations Capital"